On February 19, 2014, former KIPP teacher, Jessica Marks, wrote to me after searching the web for any kind of confirmation that she might not be alone in her misery. She had been fired by KIPP just before Christmas, after 5 months as an 8th grade English teacher for KIPP Austin. In her search for solace and understanding, she came across my blog, Schools Matter, which includes many posts about teachers’ experiences at KIPP. I was wondering if you were still doing a study about KIPP - I got your email [address] from a blog that was posted more than a year ago, so I understand that you might be finished with your work. In case you need more stories, I have time to talk and I would like to discuss what happened to me. I moved to Austin to teach English at KIPP Academy of Arts & Letters in July and I was fired in December. I am not bitter or angry about getting fired - please understand. I don't have a vendetta against the organization, and I hold everyone who is still at the school in high regard. I still believe in their mission of sending all students to and through college. However, KIPP misled me, and I think it is harmful for students and teachers to go there. I had been teaching at an early college high school in Prescott Valley, Arizona. I'd become a kind of teacher celebrity (if there is such a thing) in the town over the four years that I taught there. In fact, I was even named one of three finalists for First Year Teacher of the Year by the Yavapai County Education Foundation. I was experienced—more so than any other core content teacher at KIPP Academy of Arts & Letter—but I left Arizona because I thought I could do more good. Over the course of the six months that I worked at KIPP, I was harassed, ridiculed, and intimidated by administrators so much that I eventually suffered a nervous breakdown. I'm on the mend, but KIPP squashed my spirit and my confidence and it did so without cause. I worked 90 hours a week and was told that "effort doesn't equate results" and then told to take better care of myself because "how did that look to the children to have someone so stressed out be their leader?". If you would like to discuss further, I would be absolutely willing to talk or email more, if it would help you with your research. As a teacher (and as being a reporter before I was a teacher!) I can appreciate someone trying to find evidence for a study and I'd like to help. I apologize if this email was too long or not what you were looking for. If your study is over, please accept my thanks for doing good work. The interviews I read online already have been validating and completely accurate. When I first talked with Jessica the following week on February 27, 2014, she asked to remain anonymous, as did all but one of over two dozen teachers that I interviewed for my book, Work Hard, Be Hard: Journeys through ‘No Excuses’ Teaching. Just weeks after being fired and in the throes of despondency, Jessica feared what her KIPP principal, or the KIPP Foundation, might do or what influence KIPP supporters might exert as retribution against her speaking out. Jessica, too, suffered a deep sense of shame that is typical among former KIPP teachers for failing at a job that she had put her heart and soul into and had so obviously failed to meet the expectations of KIPP administrators. Jessica began work at as a KIPP teacher July 2013, and she was fired just before Christmas the same year. When I talked with her just two months later in February, she was still living in Austin, Texas and seeing a therapist for what she described as a nervous breakdown, which was clearly in full flower at the time she was fired in December. Jessica’s principal at KIPP Academy of Arts and Letters had recommended a particular therapist, who he knew by way of at least one other KIPP teacher who, too, had suffered a mental and emotional breakdown while teaching at KIPP. Following extensive treatment, that teacher had eventually returned to her job at KIPP. Even though Jessica’s treatment was extensive, too, her future would be quite different. After some deliberation, Jessica would return to public school teaching the following school year. And as I was to find out in 2017 when she contacted me once more, she would come to thrive anew. Today, Jessica no longer fears what KIPP Austin or the KIPP Foundation might do, or try to do, for sharing the truth about her experiences at KIPP. 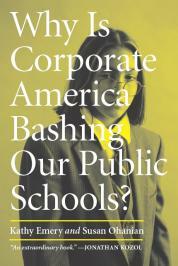 Her documented accomplishments since leaving KIPP reach far beyond the fearful behavioral vice and unsustainable job expectations of KIPP’s corporate creed, where individual creativity quickly wilts within an organizational pressure cooker based on total compliance and unsustainable performance requirements. Jessica has regained her confidence and tapped into those deep wells of care and empathic understanding that made her a great teacher to begin with. In fact, on April 27, 2018, Jessica Marks (her real name) will offer an address to the Yavapai County Education Foundation in Prescott Valley, Arizona. Her speech will be her last official act as Teacher of the Year for Yavapai County, Arizona will focus on the critical need to value teachers and teaching. So based on our written communication and interviews, this is Jessica Marks’s story of what happened before and after her short stint as a KIPP teacher. Spoiler alert: it is a story of how personal tragedy was disrupted by personal triumph and redemption. In July 2013, Jessica left family and friends in Prescott Valley, Arizona for a new middle school teaching job at the KIPP Academy of Arts and Letter in Austin, Texas. Her mother and boyfriend were not fully onboard with Jessica’s decision to leave a tenured teaching position with a Prescott Valley public school, especially when it meant moving to Texas for a charter school job with no job security or defined benefit retirement plan. Besides, Jessica had established herself as a true community asset over four years of teaching in Prescott Valley, and she had made a name for herself as Teacher of the Year at her school. She was even selected as one of three finalists for First Year Teacher of the Year by the Yavapai County Education Foundation. As her family and friends saw it, accepting a position at an out-of-state charter school was taking a big risk. Jessica, however, knew something about taking risks to pursue her dreams. A few years earlier, in fact, she had left a promising career as a young reporter near Los Angeles in order to go back to school to become a teacher. After finishing her journalism degree at Cal State Northridge, she got a job covering the education beat for the Santa Clarita Valley Signal, where she learned about the many challenges and rewards of teaching. Jessica decided that she “didn’t want to just write about” teaching anymore, so she quit her job as a reporter in 2007 and moved back home to Arizona, where she enrolled in a Master of Arts program in English Education at Northern Arizona University (NAU). She finished in 2009 with a 4.0 GPA, Honors with Distinction. Jessica’s interest in KIPP began in graduate school at NAU in 2008, where one of her “just amazing” professors had shared a short promotional video for the “no excuses” Knowledge Is Power Program (KIPP) charter schools. Most of KIPP’s students are economically disadvantaged children from high-poverty neighborhoods, and the video hammered home KIPP’s mission to get all of its students to and through college. The intensity of the KIPP mission and the commitment of KIPP teachers to that mission as depicted in the video left a deep impression. Even after Jessica earned her MA at NAU and landed her first job in 2009 at Liberty Traditional School (LTS), and even after Jessica was honored as Liberty’s “Teacher of the Year”at the end of her first teaching year as a 7th grade English teacher, Jessica did not forget about KIPP. After a year at LTS, Jessica taught three years at an early college high school in Prescott Valley, which prepares students who feel college bound but not college ready. Her success there, Jessica said, led to her becoming “a kind of teacher celebrity (if there is such a thing)” in her small town. Jessica also felt prepared for KIPP, especially from her experience at Liberty Traditional School (LTS), a K-8 “public choice school” in Prescott Valley. Parents who chose Liberty were looking for a strict discipline system, school uniforms, teacher-centered instruction, plenty of homework,high expectations, and measurable achievement results. Jessica applied for the position, and KIPP responded by paying her way to Austin for a two-day job interview. After visiting classrooms on the first day and sitting for a principal interview that she felt she “nailed,” Jessica received an email from the school at 7 PM that evening with the curriculum standard that she was to teach the following day. It was to be a lesson that built upon what the students had recently been taught. The principal gave Jessica another very specific instruction the next day before her lesson that she felt was a bit odd. The principal was very clear that he wanted to see Jessica “catch students misbehaving” and to “redirect them” when it happened. It was only some time after she was hired that Jessica learned that the class she had taught on that second day of her interview had had two English teachers resign during the year, and that an administrator had filled the gap each time a teacher had left. In effect, the students that she taught that day had experienced four interruptions to their English instruction during that one school year. Jessica found that the students did not have the information or understanding that she was told to expect from them, and teaching the class did not go well at all, with parts of the lesson plan remaining untaught as a result. Following the lesson in a classroom with students to capacity plus KIPP observers, Jessica debriefed with the five KIPP employees who had observed her teaching. After some particularly “ruthless” criticism from one of KIPP’s employees, the principal suggested that Jessica go back home to Arizona and videotape one of her classes there as a sample lesson to submit. Jessica returned to Arizona, taped her lesson, and sent it off to the KIPP principal in Austin. In the follow-up interview that confirmed she was to be hired, the principal told Jessica that he thought she was a great teacher—but not “necessarily a KIPP teacher.” Nonetheless, he said he felt Jessica was a “hard worker,” and so he wanted to give her a “try.” He did not elaborate. Even though the KIPP principal showed little enthusiasm for his own hiring decision, Jessica believed that her first year teaching at the highly-structured Liberty Traditional School (LTS) back in Arizona had prepped her for teaching at a KIPP school. Both LTS and KIPP used strict discipline systems, and they both advertise high expectations for both students and teachers. At that point, she felt more eager than anxious. Leaving behind family, friends, a boyfriend, and her big cat named Fatso Catso, Jessica packed one box of clothes and many boxes of teaching materials into her Jeep Patriot in the summer of 2013 to drive the 16 hours it took to get to Austin, she was much more eager than anxious. Jessica began work on July 22 during KIPP’s intensive ten days of enculturation and professional development before students arrived August 7, which then began seven days of the students’ own intensive indoctrination, which is often referred to as “KIPP-notizing” by both teachers and students. During those first two weeks at KIPP Austin, Jessica learned that total effort and total compliance define the KIPP culture and the KIPP “family.” She learned that children are to follow rules and procedures without fail, that errors are always corrected, and that infractions are always punished. Jessica learned that she was to use hand signals that would pare down the need for teachers and students to speak, and she learned chants to build motivation and commitment and to assist student recall. Jessica watched KIPP promotional videos that predicted dire consequences for students who fail to take advantage of a KIPP education, and she learned that teachers are expected to make any effort and to go to any length to achieve the KIPP mission that she would embody as a KIPP teacher. Jessica learned that the urgency of her task could never allow any excuse to get in the way of the student success, and that success was to be her responsibility, and hers alone. KIPP administrators told Jessica and the other new teachers that a level of militancy was required to achieve the KIPP mission of college entrance for every KIPPster. This, she was told, requires toughness, resiliency, grit, persistence, gratitude, self-control. She felt as if she was leading her students (whom KIPP had rescued from public schools) into a battle that could have deadly consequences if she and her students failed. Her objective was to overcome any obstacle that stood in the way of their successful performance on the state achievement tests, the interim assessments (IA’s), and the daily learning exercises aimed toward the testing objective. Jessica was to get them focused and moving toward the objective, while closely monitoring their progress and finding ways to overcome any barrier. She learned that KIPPsters are to “track” their teachers with their eyes at all times, and she learned that students earn their desks and their uniforms by demonstrations of compliance and expressions of gratitude. Jessica learned the importance of “the line,” a term used to describe the silent precision single-file movement from class to class during students’ 9-hour school days. She learned that there is a KIPP way for riding the bus, entering the building, going to the bathroom, and eating breakfast and lunch. Jessica learned the importance of the student paycheck to reward compliance and hard work, and she learned that paycheck deductions result from non-compliant behaviors and rule infractions that would affect her own remuneration. She learned that no infraction can go unpunished. Success demanded an orderliness that reserves no place for sentimentality or other signs of weakness. Success required that she demonstrate “joy” at all times; any observable negativity might lead to sub-par test achievement and a diminished level of social-emotional skills (or performance character, as it is known at KIPP). Most importantly, perhaps, Jessica learned that KIPPsters should be taught to calmly accept punishment from adults for student infractions of the rules or failure to live up to expectations. She was to communicate to students that punishment is a necessary outcome that results from a students’ unwillingness to perform. Jessica was told that success is always within any student’s grasp who works hard enough to overcome willful failure, and she learned that lack of success, for herself and her students, can be attributed only to an unwillingness to do what is required to succeed. Just as success can be attributed to hard work and character performance skills, failure can only be attributed to the absence of these attributes. Jessica was struck by an entire day of the first week devoted to time management, which seemed odd, given the fact that KIPP student school days are 25 percent longer than public schools. She came to understand, however, that time would be a commodity always in short supply for herself and the other teachers. And even though Jessica’s time with her KIPP 8th graders began at 7:05 and ended at 4:30, her work days would begin hours before and last hours beyond. Still there was never enough time to do all that was expected. Jessica’s two weeks of KIPP enculturation was capped off by the KIPP Summit. In most years, the Summit is a national event, an annual 3-day celebration and revivalist-style professional development meeting. In 2010, however, KIPP Austin chose to host its own staff and faculty two-day summit at the four-star Lost Pines Resort and Spa. There, Jessica and the staffs of the other eight KIPP Austin schools planned, watched more videos, ate and drank well. KIPP teachers, Jessica was later told, stood in the breach between children’s success and their assured suffering, which would occur if a KIPPster’s awful fate landed them back the AISD (Austin Independent School District). Jessica learned from an English teacher at another of the Austin KIPP schools that her principal had a reputation for being particularly unflinching in his assessments, even for KIPP, and his expectations for the student results on the state tests and the interim assessments was non-negotiable: “He is going to fire you if you’re not doing a good job,” the teacher confided. This was the beginning of Jessica’s anxiety, which eventually evolved into an ongoing panic. Most of Jessica’s students were the same kids that she had taught for her less-than-stellar teaching demo during her initial KIPP interview. They had had three English teachers during their 7th grade year, and they saw Jessica as another teacher who wouldn’t last long. By the end of the first two weeks, Jessica could clearly see student anger and resistance to another year of KIPP-notizing. One student lay silently on the floor at the back of the room one day, and another tore the curtains down. Jessica and the other teachers, most of whom were beginners, were told to use a stronger voice in response to these occurrences. This soon devolved into yelling at students, which became the norm. Feeling the pressure, Jessica soon asked for help. She was told to text the assistant principal for help and to keep any offending students in the classroom. When the assistant principal came to her assistance, Jessica got the sense that she was the offender, rather than the misbehaving students. Administrative drop-ins became frequent, but the administration told Jessica during her first evaluation in October that she was doing much better than some of the other teachers. Soon thereafter, the administrative visits slowed. She came to accept an element of chaos as the new reality. Jessica’s work day typically ran 14 to 16 hours and sometimes longer. It started when she arrived at school at 5:15 AM, and it lasted until 9 PM, when she would leave school for the 30-minute drive home. Even with these hours, Jessica was never the first in the school parking lot in the morning, and she was never the last to leave at night. Jessica usually spent one day of her weekends at school with the week’s remaining unfinished work, or planning the next week. Other teachers at her school had already learned what Jessica did not know about the unsustainability of this kind of schedule. During the previous year, for instance, KIPP Academy of Arts and Sciences lost 9 of its 20 teachers at semester break. One was fired, and nine quit. Jessica was at the door of her classroom each morning to receive her 8th grade English students at 7:05. The next 15 minutes was known as student advisory, even though little advice was offered or received, other than to sit silently and read. Jessica checked her students for dress code violations, and by 7:20 she had her students in line, ready to enter the hallway, where they walked in a straight single file line to the cafeteria. Teachers received emails or texts from the office at 7:21 if they were late getting students into the hallway. Students returned from the cafeteria with their trays in the same silent fashion at 7:30. Students ate their breakfasts silently in the classroom and then were instructed to read silently until 8:25, at which time Jessica once more prepared the students to enter the hallway in single file for transition. Periods one, two, and three followed, which were scheduled for 70 minutes each. Jessica had the first five minutes of each class to get students concentrated on “do first” warm-up tasks, which were based on the previous day’s lesson. She checked attendance, while checking and signing each student’s “agenda,” which is a planner issued by the school, in which students wrote down homework assignments posted on the board. Students whose parents did not sign their agendas from the previous day had deductions made to their KIPP paychecks that were used by students to “pay” for end-of-year trips with the “money” accumulated throughout the year. The school issued colored bracelets (purple, gold, silver, bronze) to indicate student pay and privilege status. While students with purple bracelets enjoyed the luxury of sitting outside at lunchtime and wearing jeans or untucked shirts, students in the bronze bracelet category were not even provided actual bracelets and were allowed no privileges at all. Each day Jessica had either lunch duty or lunch detention duty. Students were assigned lunch seats in the cafeteria, and if the rule for quiet talk was violated, silent lunches were enforced. Students in isolation for rule infractions ate separately in lunch detention, where they always had silent lunch. Following lunch, students went to 55 minute art, PE, or music “electives,” which students, by the way, did not pick for themselves but were selected for them by the school adminstration. On Wednesdays after school, Jessica attended mandatory staff development sessions that lasted from two to three hours. On Monday, Tuesday, and sometimes Thursday, Jessica had tutoring from 4:40 to 5:30. Only then did Jessica return to her classroom, where she compiled data from exit tickets, organized her classroom, and worked on lesson plans or her pacing guide. Before she left school at 8:30 or 9 PM each evening, she always tried to have at least a rough draft of lesson plans for the following day. After a half-hour drive home, Jessica would “make the documents the kids would be using the next day,” so that she would be ready to photocopy them when she got to school the next morning. If her roommate had left some dinner for her in the fridge, Jessica would eat around 10 PM while grading papers. Although not always successful, Jessica tried to be in bed by midnight. For the first few weeks of school, Jessica was up each day at 4:17 AM and out the door by 4:30. By October, however, she was catching an extra 20 minutes of sleep by rising at 4:37 and getting to work at 5:15. On many days, meals were skipped, and on some days when rest became the only priority, there was no time or energy to even shower. With the time-consuming repetition of student tasks that were done improperly and with the mandate by KIPP to micromanage behavior, Jessica began to fall behind the written schedule of learning tasks, or the “scope and sequence.” The principal, who maintained his own copy of Jessica’s agenda, could easily tell, by looking in and checking her board, where Jessica was in terms of the instructional schedule. Jessica felt extra pressure when administrators would come by and “point video cameras” into her classroom. When she asked the purpose of the unannounced video surveillance, she was told that the administrators were “watching the kids and trying to pick up on their bad behaviors,” and that the administration wanted to make her a better teacher. During the only video debriefing, which Jessica described as “humiliating,” she was criticized for not correcting students’ “micro-behaviors” and for not pointing to the board. When the results of the October interim assessment (IA) for the state test landed on the principal’s desk, new levels of stress arrived for Jessica and her colleagues. When the numbers were crunched, Jessica’s students had a 55 percent pass rate, which the principal “did not like,” even though the projections for her students predicted a 70 percent pass rate by the Spring test date. Others had scores that were even less impressive. Jessica missed her family, friends, and her boyfriend, and she had no time to make new friends. She began to wonder if her mom had been right about moving to Austin. Her anxiety and sense of dread grew, and she regularly experienced a nauseating panic as she waited for her students to arrive. Even today when asked about KIPP, she says that she re-lives some of that awful anxiety and dread each time. Following her October interim evaluation, Jessica met with her grade-level chairperson and told her that she was “really falling apart.” She shared that she felt the need to see a therapist and that she had no time to find one. The chairperson recommended that Jessica talk with the school administration. Rather than scheduling a meeting, the principal came to observe one of Jessica’s lesson. After the lesson, he told Jessica that he had heard that she had “no joy,” and that he was really worried about her. Jessica began to cry and, through her tears, she told the principal that she did not know how much longer she could “take this.” The principal seemed sympathetic and offered the name of a therapist who had treated another of his teachers who previously had a “nervous breakdown,” and who was able to return to KIPP the following year. In order to reduce Jessica’s workload, the principal offered to plan and teach her first period class each day except on Wednesdays, when Jessica would be fully in charge. The principal’s daily plans she could use throughout the rest of the day, thus relieving her of the time-consuming process of writing behavioral objectives and constructing plans from them. 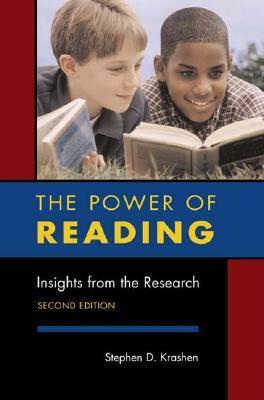 For ten days the principal taught The Illiad, a unit that he had previously taught to most of Jessica’s students the year before when he had filled in for one of the English teachers who had quit. The principal announced just before Thanksgiving that it was time to administer a test that he had constructed. To Jessica’s dismay, the test to be used in all her classes was based closely on recall of words that the principal had actually used during his first period lessons. And even though Jessica had used his plans, she had not used his exact phrasing or terminology, as she sought to lead her non-native students to an understanding of Greek mythology. The principal had marked up the rubric and concluded that Jessica’s average score was 1.5. The principal made it clear that he was unhappy with the wordy way Jessica wrote objectives, and he did not like how she failed to point to the board enough. Jessica also got low scores on “providing a safe environment,” and when she protested, the principal told her that he had witnessed students whispering. Confused, she asked how whispering could constitute and unsafe environment, and the principal told her that whispering could mean students were bullying each other, even though he admitted to Jessica that he did not hear what they were saying. Wednesday, he says he’s going to have somebody come in and observe me. And someone did. Somebody did come and observe me. It was a candidate for my job. She was interviewing. That was the only person that had observed me that day. The following day the principal brought a video camera to observe Jessica’s first period. In a brief follow-up conference, the principal told Jessica that she, again, was not pointing to the board enough and that she was not holding students accountable when she called on them to answer a question. Later in the day, two other job candidates showed up to observe. On another day the assistant principal brought a video camera on a stand, pointed it at Jessica, and recorded the entire day’s lessons. Another job candidate showed up the same day. With just a few days to rise from a 1.5 to a 3.0, Jessica remained hopeful that she could pull it together by December 19. But then on December 16, the principal sent Jessica and email saying he wanted to see her the next day. Jessica was fired on December 17, two days before her deadline to become a 3.0. As I noted earlier, I first talked with Jessica a few weeks later on February 27, 2014, when she was still living in Austin, drawing unemployment and seeing her therapist—who had come to know a great deal about KIPP from treating other former KIPP teachers in Austin. JESSICA: Getting fired was—I expected it. You know, they’d been really clear that they didn’t want me. They had the people, the candidates coming through. It wasn’t a surprise, but it was still crushing. And I’m still dealing with how crushed I felt. But you know what? It’s been a total blessing. It has been—getting fired from KIPP was probably the best thing that has ever happened to me in my life. And I don’t say that lightly. . . . Being fired collapsed my spirit. I didn’t realize how far I’d come. I isolated myself from my friends to do this great job. I isolated from my family. I moved across the country. And all I did was work. I made no new friends and I wore myself out to the point where I was unhealthy and sad and completely isolated. And I got fired. And then I had nothing. I didn’t even know anybody. I had nothing. I hadn't made one friend. . . . . I would say that working at KIPP was the most horrible experience of my life. I would tell people that, I would tell a friend especially that the message is good with KIPP, that you want to send all kids to and through college. But it is at such great personal sacrifice that it’s—it crushed me. I would encourage anyone else to just stop. It wasn’t even getting fired that was the worst thing for me. It was knowing that I was told that if the kids didn’t go to college, that it was my fault. I just think that anybody else who wants to do good could do better good at their own school rather than destroy themselves by working at KIPP. I don't know if you remember me, but you spent several hours interviewing me via telephone after I was fired from KIPP Austin: Academy of Arts & Letters back in 2013. I was a big mess -- I wasn't sure if I could ever be a teacher ever again. I did go back to teaching, and upon your recommendation, I told the truth about being fired. You said that . . . [the] truth will set me free -- so, I should be honest about my experience. A good employer will understand and give me a chance. Likewise, if they are rigid and don't consider the circumstances, well, then I don't want to work for an environment like that anyway. I took your advice to heart. It was good advice. You were so nice to me when we talked, I thought that I would share. I'm doing just fine. I wasn't a good KIPP teacher, but it was not like I was not a good teacher AT ALL. I'm an excellent teacher. And rather than fostering my love for reaching out to kids, KIPP used up every bit of my self worth and then discarded me. But I was not disposable. I was nearly crushed, but I came through. I wonder how many leave KIPP and then leave the profession altogether. What a shame. I wanted you to know, though. You helped me get through those dark days. I wrote back to Jessica to offer my congratulations on her recovery and triumphant return to teaching. I asked her if she would be interested in doing a follow-up interview and sharing her story with the world, this time with her name attached. She agreed, and I talked with her later in May 2017. My first question: Why do you feel it's important to step forward and to share your story under your name? Jessica: Because I'm not ashamed. I was, I was for a very long time. You know what? I don't want to seem overly dramatic and I'm not saying this as an exaggeration or hyperbole or anything like that—I thought about killing myself. I did not want to come back to Arizona and tell all my friends I had failed. . . .I had no money. I had the unemployment, but they had this huge delay to get it to me. I was borrowing money and it was completely humiliating. I felt like my whole worth was being a teacher. That was my whole identity. I had nothing else. I had these visions that I was going to be great, and I wasn't. I was not a good KIPP teacher and I felt like I needed to hide that. I couldn't let people know. Then, I don't know, I started, it's all that therapy. I still see the same therapist. We go through Skype now because I'm out here [in Arizona] and she's in Texas. It was devastating, but I feel like when we don't talk about what happened, we let our secrets control us. I did not have to kill myself. I did not have to be so frightened. I am a survivor, and I should be proud of that. This award that I won, Yavapai County Overall Teacher of the Year, they flew a flag over the nation's capital in my honor. They read this declaration of my contribution to education on the floor of Congress. They hang a banner above my school and people come to come look at it. I feel like I should not be in the shadows. I should be able to tell people, and I feel like, here I am, this decorated teacher, I don't know if that's the right word, but four years ago I was told I was disposable and trash and worthless. People should know that. They could call me and I feel like an advocate now. I don't know how many more years of teaching I've got left in me. I think that my next step is I would really like to be a college professor and teach people how to be teachers, and I want to tell them, beware of KIPP. . . .I don't think that I should be ashamed. I remember when I left KIPP, I was afraid of reprisal also. I was very nervous that Kevin would find out that I had mean things to say. . . . At the time, thought that I would be ostracized or he would make it worse for me or he would get in the way of me getting unemployment, that he would make it so that I couldn't teach again. I thought he would make it so that they wouldn't find my loan forgiveness papers for my student loans, and I was very scared, but I'm not scared anymore. I feel like he was wrong, and it's OK for him to know that he was wrong. Like many teachers, Jessica has added a weekend job so that she might have enough money to buy her own home. With a Masters degree, 10 years teaching experience, and recognition as the Teacher of the Year for Yavapai County, AZ, Jessica’s income from teaching is around $600 per week. At the new part-time bartending job at a local golf club, she earns $500 per weekend. Jessica “still feel[s] passionately about taking care of teachers and providing meaningful, creative instruction to students,” but she is uncertain of her career course moving forward. On April 27 when a new Yavapai County Teacher of the Year is named, she will be giving a speech on what that recogntion has been like for her over the past year. 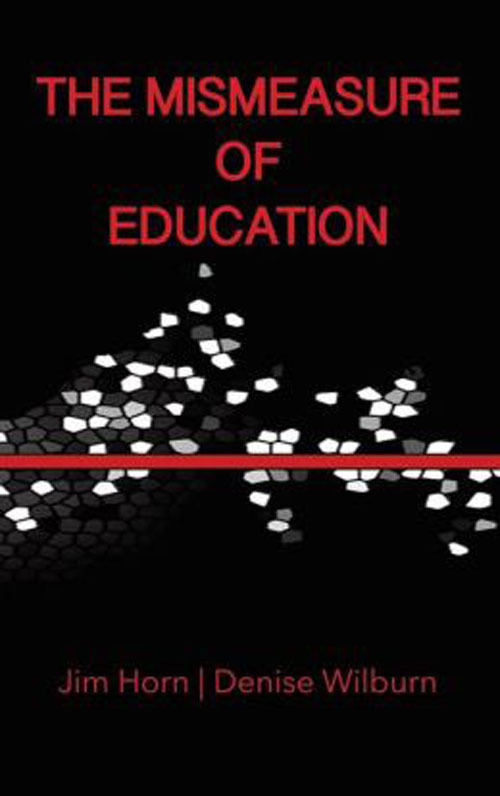 Jim Horn, PhD, is Professor of Educational Leadership at Cambridge College. 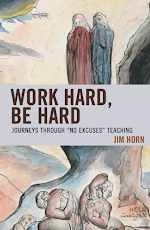 In addition to Work Hard, Be Hard: Journeys through ‘No Excuses’ Teaching, he co-authored The Mismeasure of Education with S. D. Wilburn in 2013. In addition to dozens of scholarly articles and presentations, he has published many popular pieces and too many blog posts to count. Teachers who want to share their past experiences at KIPP or other “no excuses” charter schools may contact Jim at james.horn@cambridgecollege.edu or ontogenyx@gmail.com. I had flashbacks reading this article. I taught at a KIPP school for a year and a half in the mid 2000's. I had already been a ten year veteran of teaching in public schools before I taught at KIPP. My experience was not as bad as this poor woman's. (I taught PE). However, I did see first hand what this woman went through. I saw the teacher nervous breakdowns, the insane punishment systems implemented on students. The extreme long days. However, the worst was the cult like mentality of working in a KIPP school. The administration truly believes that teachers must give up every aspect of their personal lives to KIPP. None, and I mean literally none, of the teachers at the KIPP school where I taught had children of their own. Right before I got hired I was told by a teacher packing up his stuff that 50% of the teachers quit over the summer. Teachers had to go on 2 week trips with their students to visit colleges. Your life as a KIPP teacher is completely consumed with the job. The interesting thing is that KIPP did not seem to care one bit about the teacher turnover. It is their business model to keep rotating people in and out as they know that it is unsustainable to work there longer than a couple of years. I recently went back to look my KIPP school's website. Out of the 15 teachers that were there when I started, only one is still there and that person is now an administrator at the school. I am very happy that I got out of there as soon as I could and returned to public school teaching after my year and half at that hellhole of a school. My advice to anybody thinking of working in a KIPP school: DON"T DO IT!